They pretty much do it all. Carhartt® Pipeline Gloves are for the most demanding environments. Waterproof, windproof protection keeps you comfortable in intense winter conditions. Should you work up a sweat, FastDry wicks it away and dries it up. Speaking of work, the Dura-grip palm and TPR finger grips are ready to handle whatever you need to get your hands on. 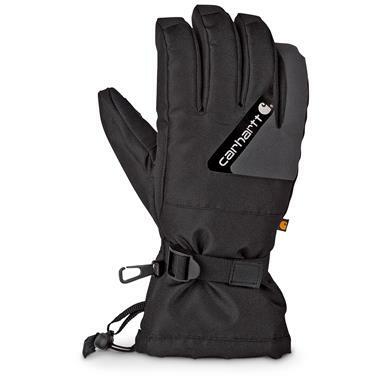 These rugged Gloves are among the warmest they make. Get yours here!